In the previous tutorial, we learned how to draw lines and triangles. We really started to see the 3D side of our meshes, thanks to this wireframe rendering. But we’ve only displayed a cube… And even a simple cube already has 12 faces! Are we going to be forced to handle ourselves all the faces for more complex objects this way? Hopefully not. 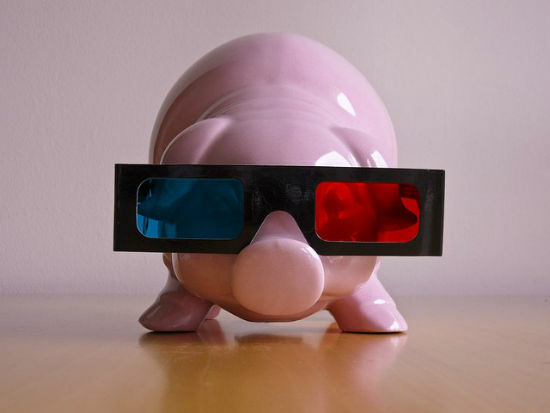 3D modelers help the collaboration between 3D designers and developers. The designer can use its favorite tools to build his scenes or meshes (3D Studio Max, Maya, Blender, etc.). Then he will export his work into a file that will be loaded by the developers. The developers will finally push the meshes into his real time 3D engine. There are several file formats available on the market to serialize the job done by the artists. In our case, we’re going to use JSON. 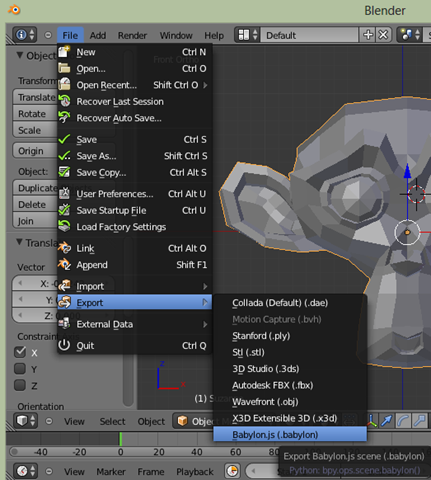 Indeed, David Catuhe has done an export library for Blender that output a .babylon file using JSON. 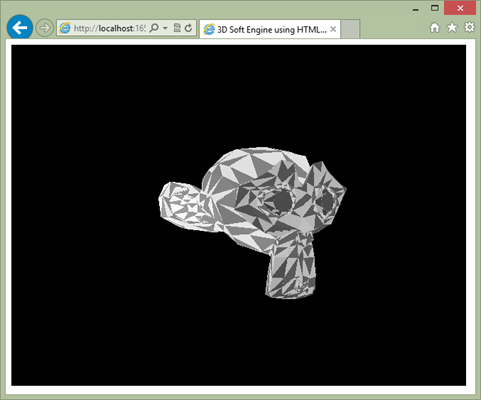 We’re then going to see how to parse that file and display the meshes in our lovely soft engine. You can write plug-ins in Python. That’s what we’ve done for the exporter. And you’ll see that you’ve already done most of the job in the 2 previous tutorials to do that. 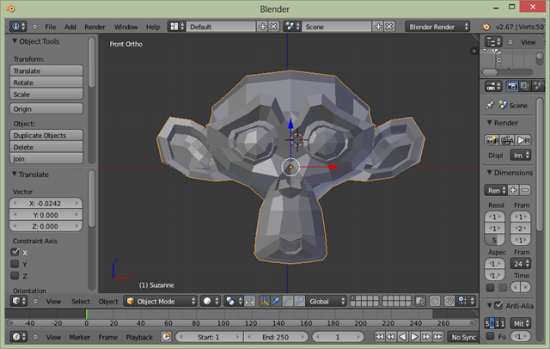 Copy this file into the \script\addons directory where you’ve installed Blender (for instance “C:\Program Files\Blender Foundation\Blender\2.67\scripts\addons” in my specific case). You need to active our plug-in in the user preferences. Go to “File” –> “User Preferences” and the “Addons” tab. Search for “babylon” and activate it by checking the case. 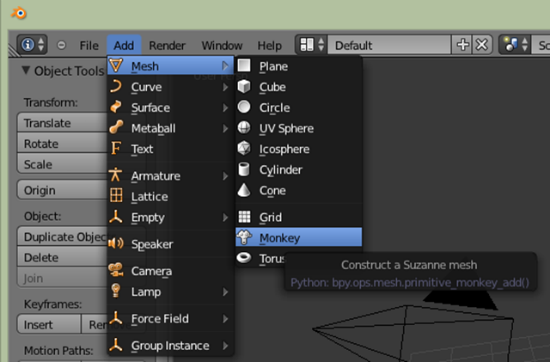 As I was telling you at the beginning of this article, we’ve already built all the needed logic to display more complex meshes like Suzanne. We’ve got our Face, Mesh & Vertex logic. This is all we need for now. In the JSON format, the Babylon exporter is adding more details than we currently need. For instance, it also adds potential details about the textures, the lights, etc. That’s why, we’re going to parse the file and jump directly to areas we’re only interesting in: the vertices and the faces’ indices to build our wireframe rendering. You will probably wonder why we’re jumping by 6, 8 & 10 in the vertices array to take our 3D coordinate (X, Y, Z) of our vertices. Again, this is because the Babylon exporter adds more details that we currently need for our wireframe rendering. That’s why, we’re filtering those details using this frame approach. This logic is specific to our file format. If you want to load the export from other (like the one from three.js), you’ll just have to identity where to retrieve the vertices and faces indices in another file format. Otherwise, the file won’t be found. We will fill the triangles with a random color. See you in the fourth tutorial. David Rousset is a Developer Evangelist at Microsoft, specializing in HTML5 and web development. Read his blog on MSDN or follow him @davrous on Twitter. Watching the recent 3D evolution has been really interesting especially the 3D printing. That industry is really taking off. Thanks for adding the final view, it’ll inspire everyone to learn the tutorial. Thanks for breaking the stages down in easy steps. I was thinking I could attend classes to learn how to at least design in 3D mesh. Many thanks indeed.